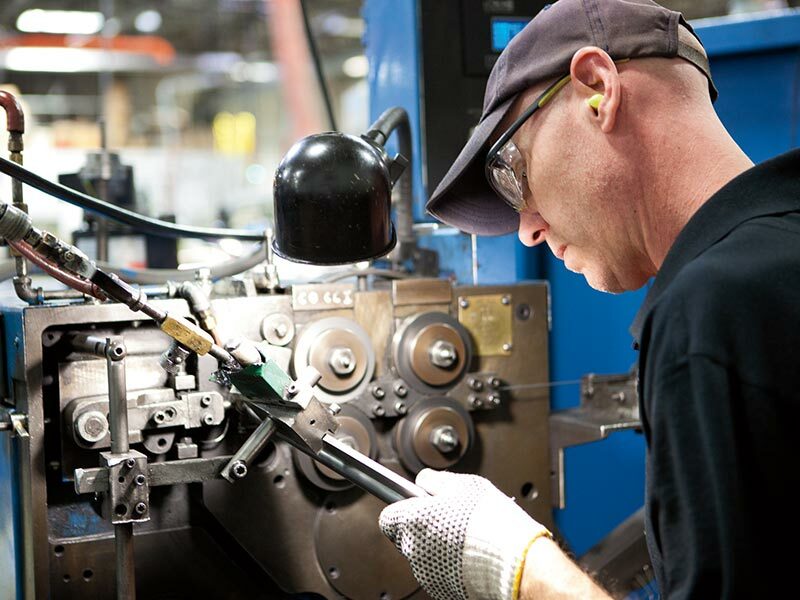 When North America’s largest privately held spring manufacturer contacted us about a website, we figured out what spring manufacturing was (wow, there are a lot of kinds of springs!) and then got down to business. The old site wasn’t a bad one design-wise, but the client was frustrated that they couldn’t update it themselves, and it wasn’t mobile responsive. WordPress to the rescue! We quickly realized the old website had another serious problem: no clear call to action. So on the new site, we designed in a focused call to action to “Request a Quote.” There is a consistent quote request button that appears at the bottom and sidebar of each page. The button links to a detailed form that customers can fill out to receive a quote back. Peterson Spring sent us this slide from their marketing update. 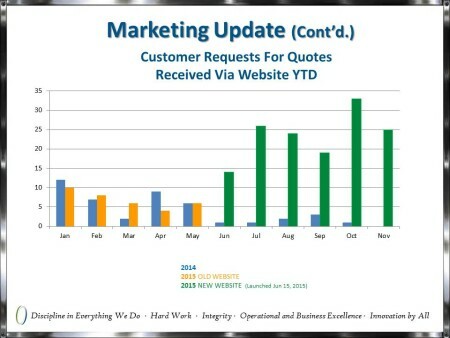 It shows that requests for quotes have increased by up to 16x since launching their 11Web website. Our client reports that results have been excellent. Monthly quote requests have increased by as much as 16x over last year since launching the new website. I thought I should share a page from our quarterly reporting. As you can see we are getting more requests for quotes than last year this time—kudos for all of 11Web’s hard work! 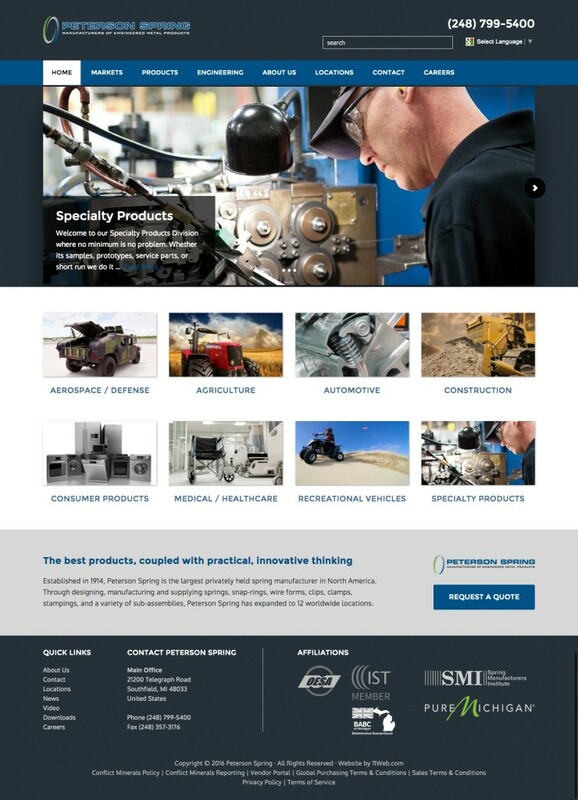 In addition, Peterson Spring’s previous website was impossible for the company’s marketing department to update. 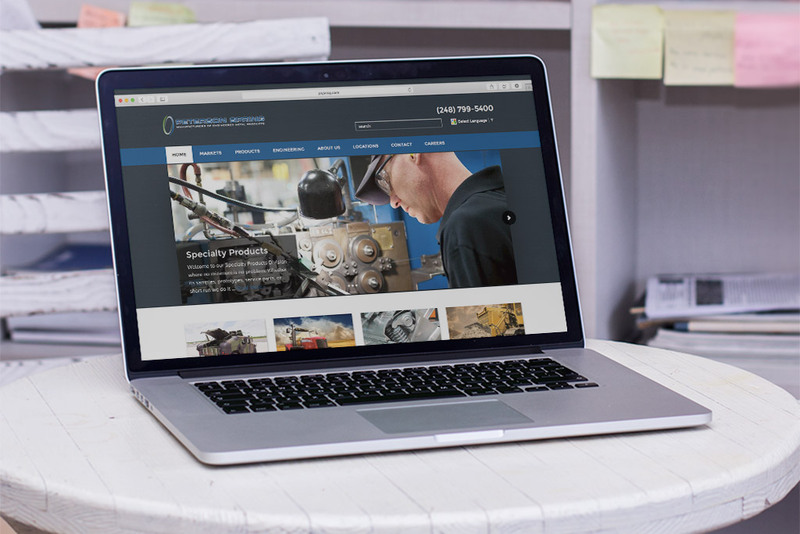 Our new solution’s WordPress dashboard makes it easy, and several team members are able to update pages, add new news articles, and add new slides to the home page slider. The trust-building digital marketing agency. Our virtual team works from Michigan, Arkansas, and wherever else we adventure.